BRIEF CAMP DESCRIPTION: The Quest is a Christian summer camp and retreat center located on beautiful Christopher Lake, SK. We offer 15 different skill options with programming for children, youth, seniors and families. Contact us for more information! CAMP LOCATION: We are located just 40 kms north of Prince Albert, Saskatchewan on 36 beautiful acres of lake front property. Visit our website for information, pricing, photo's and videos. CAMP FACILITIES: Situated on the shores of beautiful Christopher Lake, our 36 acre campsite has a modern Lodge with dining hall and chapel which can serve over 140 people per sitting. The Quest is also equipped with 10 camper/staff cabins as well as a Retreat House that can sleep 22 people with two separate living areas. Our lake is great for swimming in the summer and skating or curling in the winter. Our waterfront boasts a 25 foot water trampoline with attachments, a 300 foot long water slide as well as 2 sports boats for skiing, wake boarding, tubing and a pontoon boat for cruising. 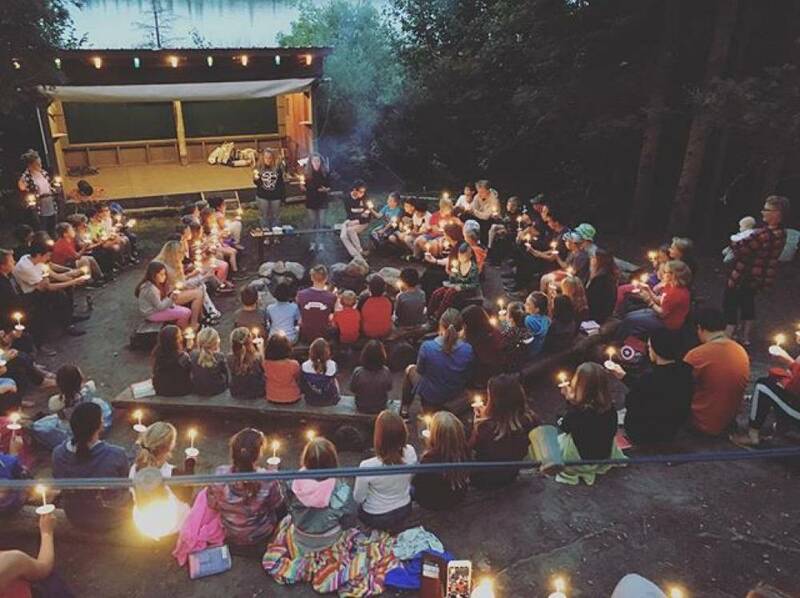 CAMP PROGRAM INFO: Founded in 1945 by seven Baptist churches in northern Saskatchewan, The Quest has over 70 years of experience in the camping ministry. We are members of CCI and SCA and conform to all their standards of safety and hiring. We are a Bible camp whose message is Christian. We believe in the Word of God and want everyone who comes through our gates to draw at least one step closer to Jesus Christ. We love God and we love people, especially little people - children. We believe that God has given us this place to love children and let them experience God in a pristine wilderness environment. CAMP LEADERSHIP CIT/LIT PROGRAMS: Our Ministry Development Training is a leadership program for teens and young adults between ages 15-25. It is held at the beginning of July and compliments our SERVEstaff program - which is a volunteer and intern program which runs throughout the summer. MDT (Ministry Development Training) focuses on the participants to KNOW God through times of personal devotion, solitude, and corporate worship times. The heart of this ministry is to see youth grow into fully committed followers of Jesus, full of His love and empowered by His Spirit. MDT is for high school and university students that are serious about learning more about themselves, their strengths and even weaknesses. It is a camp unlike any other where friendships are forged and tested, and leadership skills are taught and put to the test. So if you want to grow deeper in you understanding of God, the Bible, yourself and even the world around you; and you know that you will be able to do what it takes to be part of the team, then MDT is for you. CAMP SCHOLARSHIPS OR FINANCIAL ASSISTANCE: There are certain scholarships and financial aid available. We are a charity that raises its own finances from supporting churches, individuals and foundations. This is a must for families and fills up fast so don’t delay in registering! This is a week where the staff spoils you and your family so that you can just spend time being family with no distractions. Skills and activities are orientated around the entire family. Some evening with be 'parents only', where babysitting is provided and you can relax in the setting of camp. Our speakers focus on you as a family and how to live in better community with one another. The best part of family camp? No cooking and no dishes!! Things to do at family camp: swimming, downhill water-slide, 25 foot water trampoline, water skiing, wake-boarding, outdoor education, parents only coffee shop (to die for), wide games, craft making, late night pontoon boat cruises, tubing, night games, hanging out with friends and making new ones, encounter with God time, and not doing dishes. YEAR-ROUND PROGRAMS: The Quest is a year round rental facility. From September 1st through to the end of May we host church groups, school groups, band camps, pastors retreats, health regions and youth groups. During the winter we have tons of fun on the outdoor skating rink playing hockey or even curling. We also have ice fishing and snow carving as well as warm fires and even out door hot tubs for the especially brave. OTHER CAMP INFO: A question that is at the root of our ministry is - Why? Why do we do it? Why do we come back year after year? Why do we believe in camping as a viable ministry in the life of the church and the denomination? The answer is really simple. We do it to be a place where children are cared for, where they are nourished and loved with the patience and tenderness of Jesus. We are a place that has a passion for the Gospel of Jesus Christ - where the POWER of that gospel is evident, where it is spoken about, where it is seen and cherished. The POWER to lift up the fallen and the hurt. The POWER to heal the sick and the sick in spirit, to heal hearts that have been broken. The POWER to restore dreams that have been shattered by life, or even death. The POWER to change lives for the better, to transform people into the image of Jesus Christ. The POWER to give hope to those who have no hope. Because we want to be a place where adults and children are taught real Bible based skills for living a life of abundance, where children are taught to obey their parents, to respect their elders and to honor God because this is His order of design. We aim to be a place where young people are shown how to honor God with everything they have. A place where teenagers are given opportunities to shine. To share their love of God with children and their love of children with God. We are a place where young leaders are given responsibilities, where they are allowed to make mistakes and gently and lovingly shown the right way. We are a place where the Spirit of God is almost tangible, where God’s presence can be felt and seen in the faces of all those who love him. We are a place where families as a whole can come and be ministered to. Where they can enjoy God’s creation, hear the Word of God and just be cared for. We are a place where the Truth is taught about God with compassion, even when it is uncomfortable or inconvenient. And lastly; The Quest is not simply about FUN, although fun is a bi-product. It is not simply about baby-sitting kids for a week or two in the summer. It is not about learning to ski, or wake board, or learning to shoot an arrow straight. It’s not simply about learning about plants and animals, water safety, canoeing, wall climbing or drama or gaining self confidence or anything else you will find at a great summer camp. It is all these things and more, it is about drawing everyone who comes through our gates at least one step closer to Jesus Christ. Check out our website for a complete listing of our sessions, dates and fees at: Our Camp Website Link: www.questnet.ca. The Quest at Christopher Lake is looking for leaders over the age of 16 who desire to serve children and youth this summer. For our complete job listing and application process please see our website. Go to The Best Canada Summer Camps Directory to Find More Top Summer Camps Near Christopher Lake, Canada.